This post, the third in the series, focuses on the economic reasons as to why wind and solar will never be meaningful power sources. The expansion of renewable energy was accompanied by the promise that price of electricity would remain manageable and even decrease in the long term. 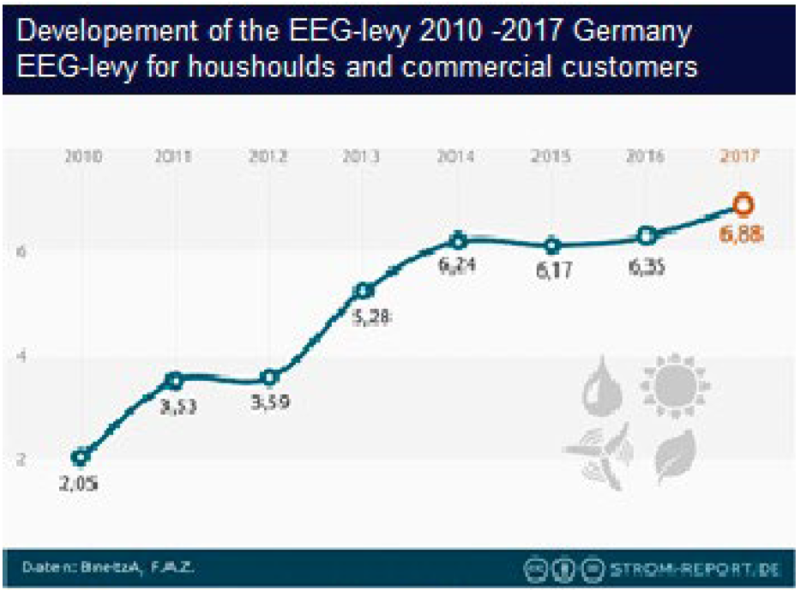 However, the levy on energy consumers to fund the Energiewende, which was 0.68 cents/kWh in 2005 has risen continuously since then. By 2017, it was approaching 8 cents per kWh, a more than tenfold increase. This was clearly foreseeable. It is equally clear that electricity prices will continue to rise with each additional wind, solar and biomass plant that is installed – the latest reforms and tenders will not change this. 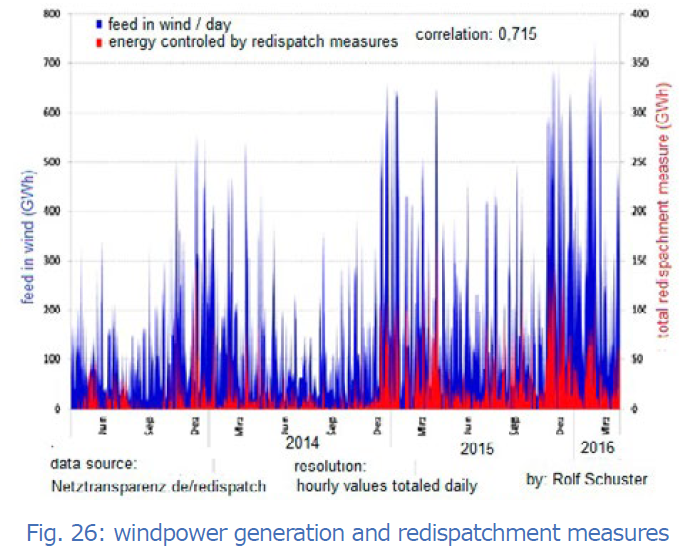 The direct cost drivers of electricity prices are the feed-in tariffs set out in the legislation: operators of wind farms, PV and biomass plants will receive a guaranteed price per kilowatt hour, fixed for 20 years after commissioning. This is set at a level that is many times higher than the market price. The difference is passed on to (almost) all consumers via the electricity price. In addition, producers are guaranteed to be able to sell electricity into the grid at that price, regardless of whether there is a need for it or not. 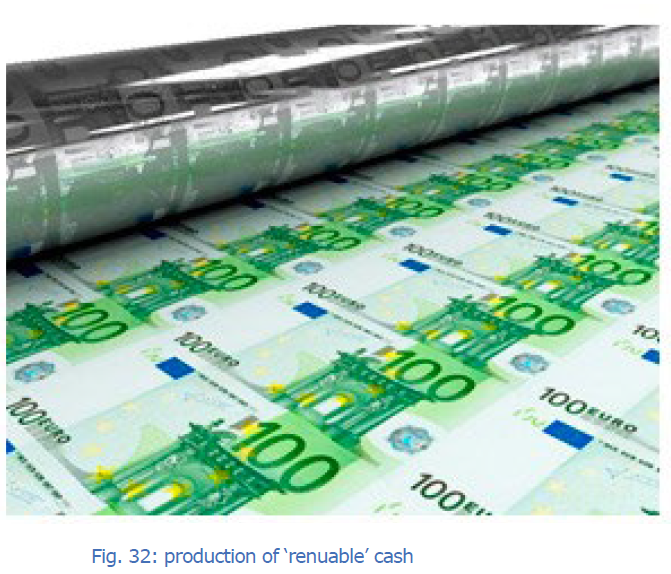 In the period 2000–2016, 176 billion euros were paid by electricity consumers to renewables companies, for electricity with a market value of just 5 billion euros. The destruction of economic value amounts to around 10 billion euros per year. What else could have been done with this money (in economic terms, what was the ‘opportunity cost’). As examples, the St Gotthard tunnel opened in 2016 at a cost of 3.4 billion euros; the Hamburg Elbe Philharmonic Hall cost 0.8 billion euros. The refurbishment needs of all German schools are estimated to total just 34 billion euros. It is often said that the levy scheme has too many exceptions; if energy-intensive companies were to bear their ‘fair share’, the burden would be much lower, or so the argument goes. This is wrong in two respects. On the one hand, the exemptions granted under the ‘special compensation rule’ are very small in terms of value; if they were completely abolished, the levy would only decrease marginally. On the other hand, it is irrelevant who bears these losses. Waste is always bad, no matter who has to pay for it. The last federal government tried to curb the cost driver ‘EEG payments’ by introducing the tendering procedure. past is nevertheless wrong: the other element of privilege, the purchase guarantee, remains completely untouched. Although direct production costs will fall, the systemic costs of expanding wind power and the like will continue to rise. additional weather-dependent and privileged feeding system. In order to cope with increasing volatility, the generation output must be repeatedly intervened in order to protect line sections from overload. If a bottleneck threatens at a certain point in the grid, power plants on this side of the bottleneck are instructed to reduce their feed-in, while plants beyond the bottleneck must increase their output. The need for redispatching – so the technical term – will continue to increase. Figure 26 illustrates the connection between wind power production and the need to protect the cables. electricity is reflected in higher electricity prices. But that’s not all. In order to protect themselves from unwanted erratic electricity inflows and to prevent their grids from being endangered, our neighbours in the Czech Republic and Poland were forced to install phase shifters, i.e. to erect ‘electrical current barriers’. The costs of these self-defence measures are also borne by German consumers. A further effect of the expansion of wind power and the like is the costs of grid expansion. Another rapidly growing cost driver is the phenomenon of ‘phantom power’: consumers have to pay for non-existent electricity. According to §15 of the EEG, operators of wind power plants receive remuneration for electricity that has not been produced because it has no customers and would therefore jeopardise grid stability, so that the plants concerned have to be regulated down. The costs of these processes, euphemistically referred to as ‘feed-in management’, have roughly tripled in the last three years. 643 million euros were due in 2016. Finally, the further expansion of wind and PV will lead to an unprofitable, controllable electricity production that was previously calculable in a market economy and will incur ever greater losses, even if the expansion of renewable energies is supposedly ‘without subsidies’. However, supply security cannot be guaranteed without precisely this regulated electricity production – one kWh must be available as security for every kWh from wind and sun (see Chapter 2). The expansion of wind and PV systems is forcing this very safety performance into the loss zone – which is why these forms of energy can certainly be described as parasitic. All these factors lead to a development of electricity prices that knows only one direction: upwards. While in 1999 electricity prices were still in the European mid-range, the electricity prices to be paid by German households and companies are now the second highest in Europe. A social imbalance results from the fact that low-income households have to spend a particularly high proportion on electricity and are therefore most affected. This became a real problem for 330,000 households in 2016. As far as companies are concerned, some are (partially) exempt from the EEG levy, but the overwhelming majority are negatively affected. In addition, the exceptions create new false incentives and uncertainties: to benefit from the exemption, companies must exceed certain energy cost thresholds. It is not uncommon that ecologically sensible investments are not made, because otherwise one would fall below these thresholds. In addition, the granting of exceptions has to be won over and over again. The sword of Damocles of deprivation always hangs over them. The ‘energy revolution’ is often referred to as a modernisation and innovation programme. Germany will become a global leader in technology development, is the slogan. In green-inspired literature, ‘wind and solar’ should be celebrated as the ‘winners’. However, the real world is only partially impressed by this case: those technologies that prove to be economic will win, not those that bureaucrats and officials favour. Long-term economic gains can only be made through competition. However, with renewables, the competitive mechanism is switched off: prices and quantities are determined in a political process, the outcome of which is ultimately determined by the producers of renewable energy themselves. If post-war governments had adopted the same approach for the automobile industry, it might have demanded that by the year 2000 every German must have a car. The Volkswagen Beetle – at the time, one of the most technically advanced cars in the world – would have been declared an industry standard and a purchase price that would deliver `cars for all’ would have been determined in a biennial consultation process between government and manufacturers. 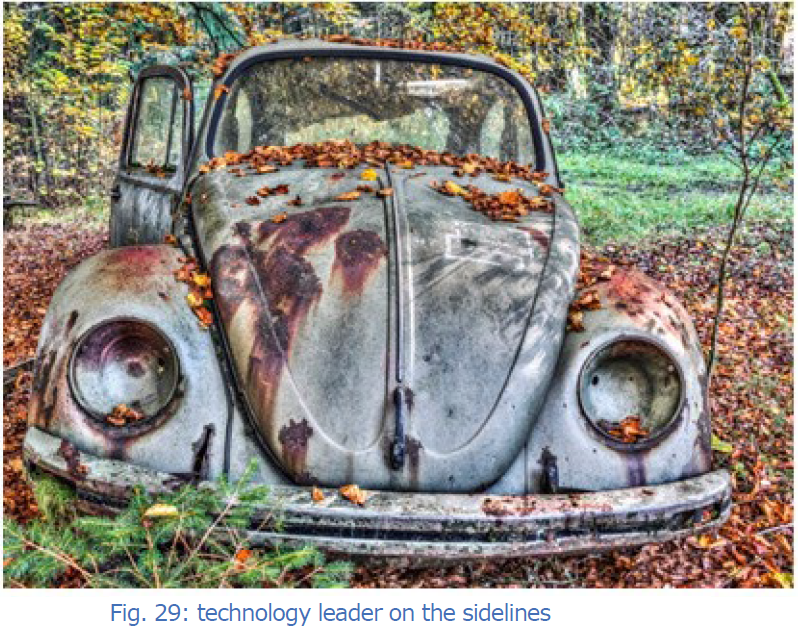 As a result, we would still have vehicles of the technical standard of the VW Beetle, innovation would be irrelevant, and the German industry would never have achieved its position of global leadership. Fortunately, when the Federal Republic of Germany was founded, the decision was made to pursue a market economy, that uses competition to encourage generation of new ideas. This was to the advantage of both business and consumers, who were able to choose from a large number of good, inexpensive, innovative products that were constantly being improved, both from a functional and from an environmental point of view. Which products will be in demand in the future and which sectors of the economy will then flourish cannot be decided by law – especially not if this is strongly influenced by the producer interest. The plight of the German photovoltaic industry, which rapidly lost international market share and had to cope with many insolvencies, is an example of this. The availability of easy money – subsidies – was the main reason for the sector’s loss of competitiveness. It is a harbinger of what can be expected in other artificially nurtured segments of the renewables sector. equivalent figure is 6 %; in the pharmaceutical industry it is even higher, at around 9 %. Subsidies make businesses sluggish. It is often argued that ‘renewable energies’ need start-up financing in the short-to-medium term, seeing them through to the stage at which they can survive market competition. Such learning curves can be seen in other industries, but this is no reason for subsidies: the triumphant advance of the IT industry was not triggered by government support for the mass production of vacuum tubes (which the first computers used instead of diodes and transistors). There were no subsidy programs to ensure that by 1960 all inhabitants of the western world would have huge computers in their cellars. Nor were taxes introduced on typewriters to encourage the switch to new technology. The rapid progress was driven by enormous investment in research and development – driven by the space race – which paved the way for transistors, integrated circuits, hard drives and other important innovations. This enabled private companies – such as IBM, Nixdorf and Apple – to produce devices that consumers actually wanted to buy. Subsidies are leading development in the wrong direction. The consequence is the constant enlargement of the old familiar. Wind power plants, which are already about 250 meters high today – even larger turbines, 300 meters high, are being designed – bear eloquent witness to this undesirable development. The Expert Commission on Research and Innovation of the Bundestag stated in 2014 that the fixed feed-in tariffs would not provide an incentive to develop new technologies. The EEG has not improved the competitiveness of German energy suppliers; it distorts research and production decisions in favour of inferior technologies. It is not the discovery of the best idea, but the funding decisions, determined by lobbyists and bureaucrats, that determines which technology is used and which (perhaps ingenious) plans remain in the drawer. Central state planners can never predict what resourceful entrepreneurs and scientists will develop in the future. At the end of the 19th century it was believed that the European metropolises would soon sink under the weight of horse manure in the streets, a view that seemed logical because of the increasing number of horsedrawn carriages. But with the discovery of electricity and the introduction of the tram, things changed. The rapid progress of technology makes the presumption of knowledge particularly dangerous. There is a risk that our economy will miss the technological boat. 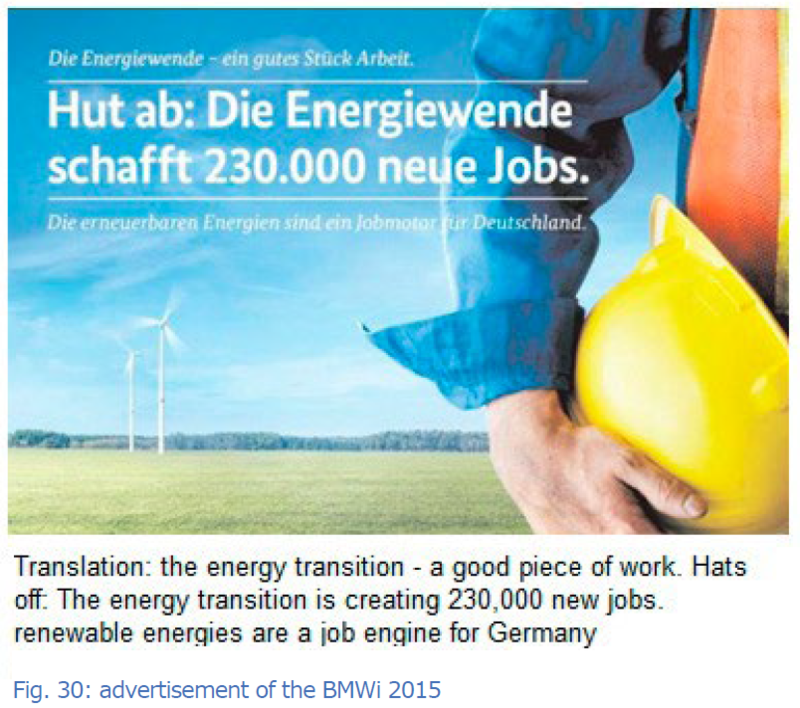 On large posters and in advertisements in autumn 2015, the Energiewende congratulated itself for the creation of ‘230,000 sustainable jobs’. This myth of a ‘job creating’ energy transition is regularly disseminated. Of course, the energy transition is shifting purchasing power from traditional consumer and capital goods industries to industries that produce wind turbines, solar panels and other equipment. This shift generates gross jobs in the those sectors: wind turbines, solar parks and biogas plants must be built. The components have to be produced, delivered and assembled; the finished systems have to be maintained. The investments require financing and credit agreements. This creates employment in banks and law firms. Subsidies must be regulated and monitored, which leads to even employment in the bureaucracy and, once again, lawyers’ offices. So far, so trivial. However, a gross employment effect does not mean that the Energiewende creates jobs overall. Jobs are being lost in the sectors from which purchasing power is removed. There has been a drop in the number of people employed in major electricity suppliers for years. Declines in employment are also to be expected in the sectors upstream of conventional power generation. These lost jobs must be compared with the new jobs created. It should also be noted that were the money not spent on ‘renewable energies’, investments could have been made in other areas that would also have created employment. If, for example, the 178 billion euros mentioned above had been used to renovate schools, the order books of countless businesses would have remained full for many years to come. Regardless of its empirical validity, the thesis of the ‘green job engine’ is also theoretically questionable. From an purely economic point of view, there is no reason to rejoice over supposed ‘employment growth’. On the contrary, if the same number of kilowatt hours for which one had to employ 100 people ‘in the old energy world’ requires the deployment of 300 people in the ‘new energy world’, then ‘innovation’ is nothing more than a massive slump in labour productivity. Promoting employment figures cannot be a meaningful goal of energy policy. If it is, then power should be generated with rowing machines, treadmills and exercise bikes. 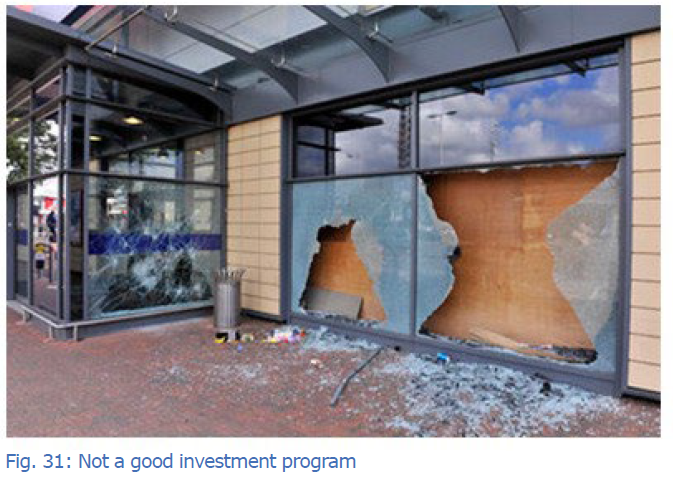 Sensible investments or broken windows? The Energiewende has undoubtedly triggered considerable spending. Analogous to its effects on employment, however, those investments that were not made because of the Energiewende must also be offset here, whether due to the loss of purchasing power or the perceived poor quality of the location. Energy-intensive industries have been reluctant to invest for years. Visible bankruptcies are hardly to be regretted so far, but expansion investments are more likely to be made in the USA or France in case of doubt. This leads to creeping de-industrialization. 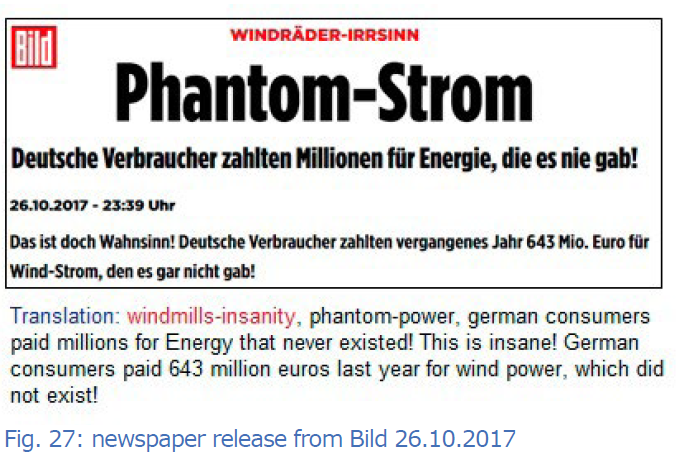 The Energiewende has caused visible damage in the energy sector: around € 100 billion of capital was destroyed at EON and RWE alone. In 2010, these two companies had a combined value of € 130 billion on the stock exchange; today they are worth only around € 30 billion. The savings of hundreds of thousands of small investors are affected and stocks in equity savings funds and life insurance policies have been shattered. These companies are highly innovative enterprises that created jobs and prosperity, and on which thousands of small and medium-sized enterprises depend. The malinvestment means that our economy is missing growth opportunities and innovation potential. that would ultimately benefit everyone and increase national wealth. Whether this calculation will work out in the longer term, the reader may decide for himself. All over the country, new, regionally focused players are engaging in energy generation. Laypersons in the energy industry, municipal energy suppliers, local authorities and cooperatives are using the opportunities engendered by the EEG and state laws to operate in a field that was previously characterized by high professionalism, high capital commitment and therefore high barriers to market entry. Many fellow citizens see this as a ‘democratisation of energy supply’ and welcome the fact that allegedly abused market power is to be broken and an oligopoly replaced by a more broadly based market structure. The last federal government, for example, called a ‘diversity of actors’ the goal of its funding policy. The EEG contains passages aimed at providing special protection to ‘citizen energy’ initiatives. This may be politically rational, but it does not make economic sense: there appear to be economies of scale in power generation, which therefore has an inherent tendency towards a natural monopoly. It is the task of regulators to ensure that producers do not abuse their market power. By trying to impose not only a certain market structure but also certain groups of actors against economic forces, the EEG policy undermines competition. oligopolistic motor industry be broken up and placed in the hands of citizen motor manufacturers. It is clear that vehicles built by such citizens would be expensive and particularly in need of testing from a safety perspective. It is equally clear that the energy supply is made more expensive than necessary by having it delivered by a ‘diversity of actors’. By courting the alleged ‘pioneers of the energy transition’ and forcing wide participation in the energy supply market – i.e. ultimately not leaving production to those who can do it in the cheapest and best way, but to a politically determined collective – politicians hope for ‘acceptance’. It is doubtful whether the results will confirm the political calculation. Wind power – a licence to print money? Anyone who produces electricity with the technologies mentioned in the EEG, wherever and whenever, will be remunerated at a guaranteed rate far above the market price for a period of 20 years. EEG beneficiaries do not need to worry about the needs of customers, the offerings of competitors, technical progress or other such ‘banalities’. Wind turbines are a licence to print money, provided that the EEG remains in force. ‘Land of milk and honey has burned down: Wind power bleeds investors’. money in the politically fanned green boom – at the expense of investors. Almost all affected funds, cooperatives and municipal utilities complain that the wind forecasts of experts have been far too optimistic in the past. ’planning optimism’ of the project promoters as a strategy for maximizing profits. Wind farms therefore have a cost framework that is fixed even before the ground-breaking ceremony. The profit is almost solely determined by the annual electricity yield. No matter how clever the marketing may be, it cannot influence profitability, which depends on the whims of the weather. From the perspective of the operator, the investor and the lender, the expected electricity yield must be determined in advance by a procedure that is so well-understood and reliable that a profit and loss statement for the entire lifespan of the project can be generated before construction begins; after all, all costs are a priori fixed. The expected power generation is mainly determined by the average wind speed, with a reduction of 1% resulting in a 2% reduction in electricity yields. The tighter the planned wind yields are calculated, the more critical the business profit and loss statement becomes already in the planning phase. deviations in power generation and thus in revenues. Measurements on wind masts are the most accurate method, but even here the typical error range is 2–8%. The uncertainty of measurement alone causes an uncertainty of the expected yield of up to 16%. Measurements with optical methods (LIDAR) or even wind assessments are even less accurate. Anyone who evaluates such measurements will find that the operation of wind farms entails considerable economic risks. These risks apply in particular to wind assessments, whose error rate is in the order of 20%. 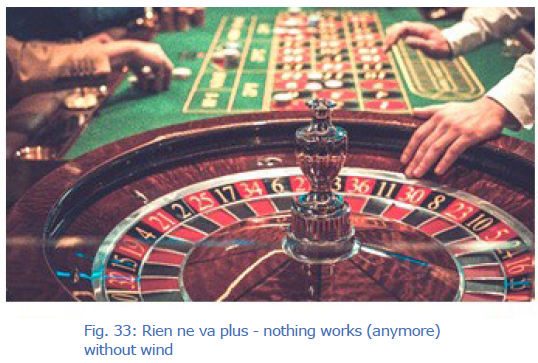 Investment in wind turbines on the basis of wind assessments is close to gambling. Anyone who does so is responsible for their own downfall. However, anyone who lives in a community whose elected representatives fall for the promises of windfarm promoters is virtually forced to the roulette table. Clean electric power from trusted neighbours? Municipalities have different economic incentives to private companies. Municipal decision-makers – most of whom are not personally liable for any resulting losses or waste – tend to incorporate considerations other than pure profit in their calculations. Status and prestige are often important factors. Moreover, conflicts of interest are the order of the day: municipalities are frequently not only investors in a project but also its landlord. An environment that promises high and secure lease income at zero risk when someone is found to make a politically motivated, high risk investment creates a breeding ground for corruption and conflicts of interest. plants that produce ‘scrap electricity’ that no one can use sensibly. facilities for the construction of which high-quality natural areas are partly destroyed. plants for which the ‘Hessen-Forst’ state company purchases leases. plants that are unprofitable right from the start. The Taxpayers’ Association has included a project in the community of Waldfischbach-Burgalben (Southwest Palatinate) in the Black Book of Public Funds Wastage. 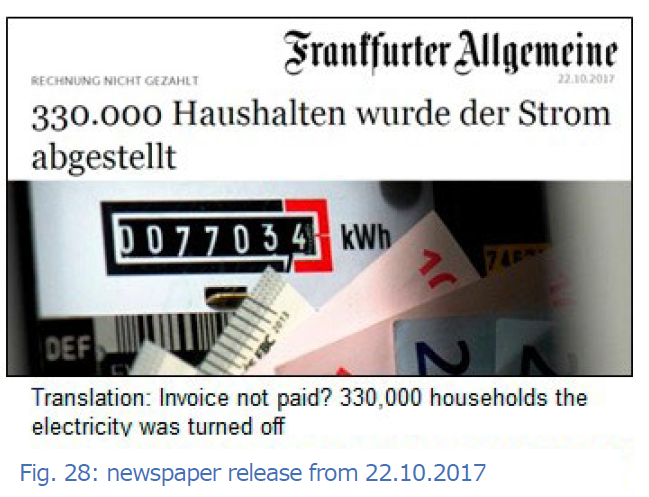 The community caused a financial disaster by building and operating renewable energy plants…The municipality built four photovoltaic plants, a woodchip heating plant, a biogas plant and a straw heating plant. According to the Taxpayers’ Association, almost 7.5 million euros were invested in this project…the total loss from 2008 to 2014 is 2.6 million euros. ‘Waldfischbach-Burgalben not only burns straw and wood chips, but also a Taxpayers’ Association. The municipality justified the losses with unexpectedly long approval and construction periods, increased construction costs, disruptions to operations and with the fact that there were fewer customers for the energy generated than expected. The Taxpayers’ Association sums up: ‘The community has probably miscalculated thoroughly’. It would have been better, it says in the black book, to have left these projects alone: ‘That’s why there are real professionals in the market’. Citizen wind farms as acceptance procurers? One year after the new law on participation in wind farms came into force, municipalities and citizens have not yet made a single use of the regulation. If citizens and municipalities feel a positive effect of the development of new wind farms on their wallets, then the acceptance of the new, large wind turbines would increase, according to the state government. But so far this possibility has left communities and citizens completely cold. They have refrained from acquiring shares in new projects. The all-dominating, rapid expansion of renewable power generation capacities is crucial to the problems of implementing the energy transition. (…) Here the motto ‘the more and the faster the better’ is pursued at the expense of the common good. German Council of Economic Experts, 2012. Anyone who participates in wind energy projects enriches themselves on the levies charged on the general public and sometimes also directly harms their fellow citizens in the surrounding area: in addition to the loss of quality of life, the devaluation of private homes, which often amounts to an attack on old-age provision, and the undermining of business models based on tourism/landscape enjoyment are worthy of mention. It is obvious that economically meaningless projects will not produce good results. An increase in acceptance is not to be expected; at best there will be complicity with the misguided objectives. In this way, peaceful village communities are divided into profiteers and victims. The current energy policy destroys national wealth, hampers technological development and weakens Germany as a business location. At the local level, it promotes gold rush and casino mentality. I am sure that Australia will be the only country in the world to succeed in perfecting a 100% renewable energy supply. You just have to look at South Australia the renewable leader of the world. 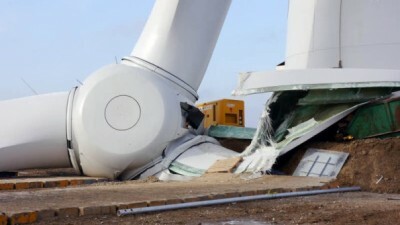 When renewables failed they spent $550,000,000 on diesel guzzling gas turbine generators and are now constructing what will be another $1,000,000,000 umbilical transmission line to the NSW coal fired generation system Just ask South Australia how to build a 100% renewable energy generation system that works. A bit like turning lead into Gold, I’m sure given enough money South Australia could find a way do it but sadly for Australians all the other State Governments want a bit of the action ” Rank moronic stupidity” too and want to have 100% renewable energy by 2030..
Maybe it started when their cult hero Elon Musk descended into a racial rant when his mini sub was rejected for the Thai cave rescue but I would like all STT readers to keep those wind turbine hugging zealots and rent seekers in your thoughts and prayers. Normally the zealots are paragons of virtue but with the mere hint of the introduction of the NEG, stifling renewable investment and heaven forbid the unleashing of the devil incarnate in the form of a giant coal fired generator, them boys have blown all circuitry between the ears and turned into a bunch of self obsessed crazed lunatics. Twitter world is no place for the faint hearted with these boys, why just lately I’ve learnt farmers deserve droughts for voting Libs/Nats and of course Mother Teresa was nothing but a nasty piece of work like her fellow catholic Malcolm Turnbull. Maybe it will all end in a Waco style massacre where these boys parachute out onto the Macauthur wind farm in a roaring gale only to be sliced and diced by their beloved giant whirling fans. Speaking of the Macauthur wind farm here is a song the Messiah and the zealots can hum along to with all their now free time, I think its kind of apt. I'd heard there were hidden, sinister meanings behind the words of that great Donna Summer favourite. Thanks SoaG now we know. Perhaps this was also part of the message Tony Abbott was passing on to the assembled idolators in this Pickering cartoon?